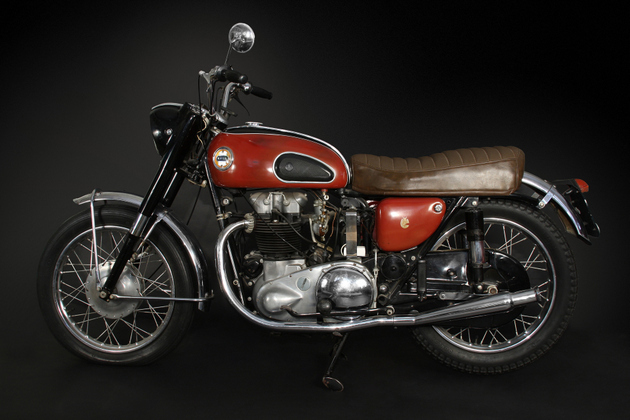 The crown jewel and center of interest at this weekend’s auction of the Waylon Jennings estate at the Musical Instrument Museum in Phoenix, AZ was the 1958 Ariel Cyclone motorcycle once owned by Waylon’s mentor Buddy Holly and given to Waylon on his birthday in 1979. Though early reports had the motorcycle not reaching the auction reserve with a bid of $375,000, and other reports said it sold for $450,000, Saving Country Music has confirmed with Guernsey’s Auctioneers that the bike indeed did sell eventually, and for a whopping $457,500. Lubbock is Buddy Holly’s hometown and right down the road from Waylon’s hometown of Littlefield. The two music stars met in Lubbock in the 1950’s. 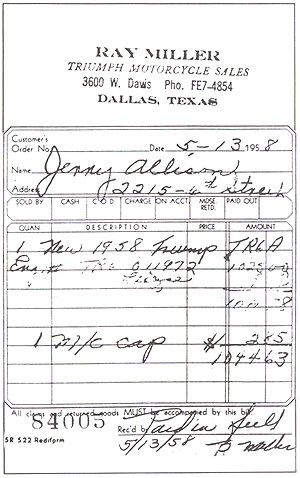 Another item of high interest, Willie Nelson’s braids that he sent to Waylon to celebrate his sobriety, did not go for $37,000 as has been widely reported. They actually sold for $31,250—still a handsome price. In May of 1958, Buddy Holly and his original Crickets flew in to Dallas’s Love Field airport on a connecting flight back to Lubbock after a big tour. Well…All Right. This is the outcome Buddy Holly fans have been crying, waiting, hoping for. When the motorcycle is enshrined in Lubbock, that’ll be the day that it’s back where it belongs. Buddy Holly’s music will rave on. Everyday I am more sure that his legacy will not fade away. Seriously, this is really cool to see the motorcycle come full circle.. Oh, and uh… Peggy Sue.